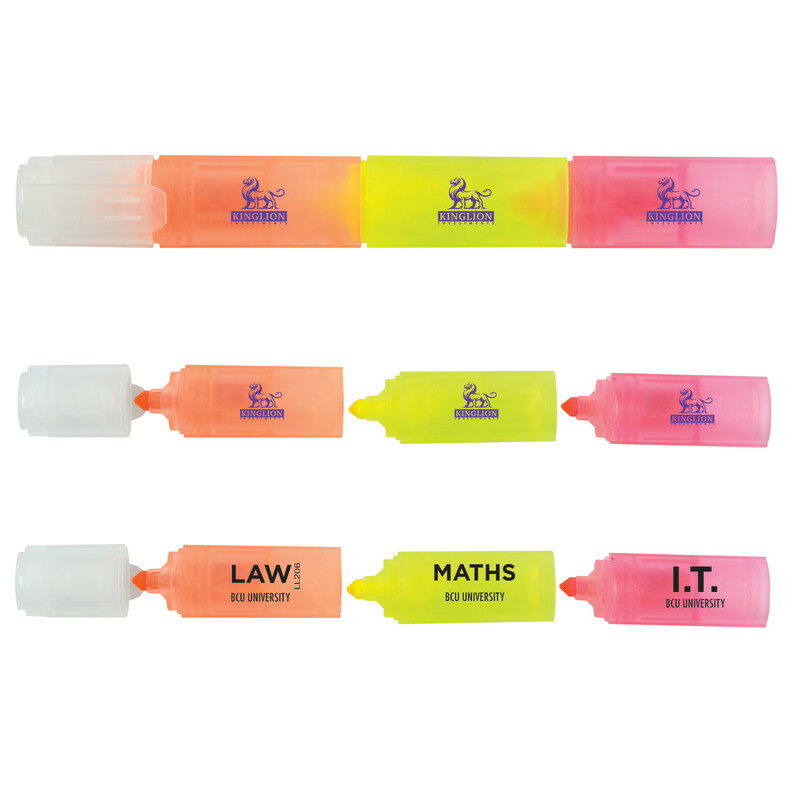 A totem pole of bright highlighters that will stand out and get your logo on people's minds. 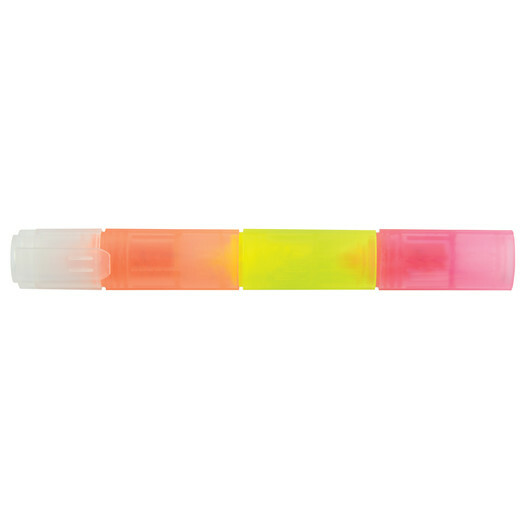 These highlighters make enhancing important notes and information a breeze. 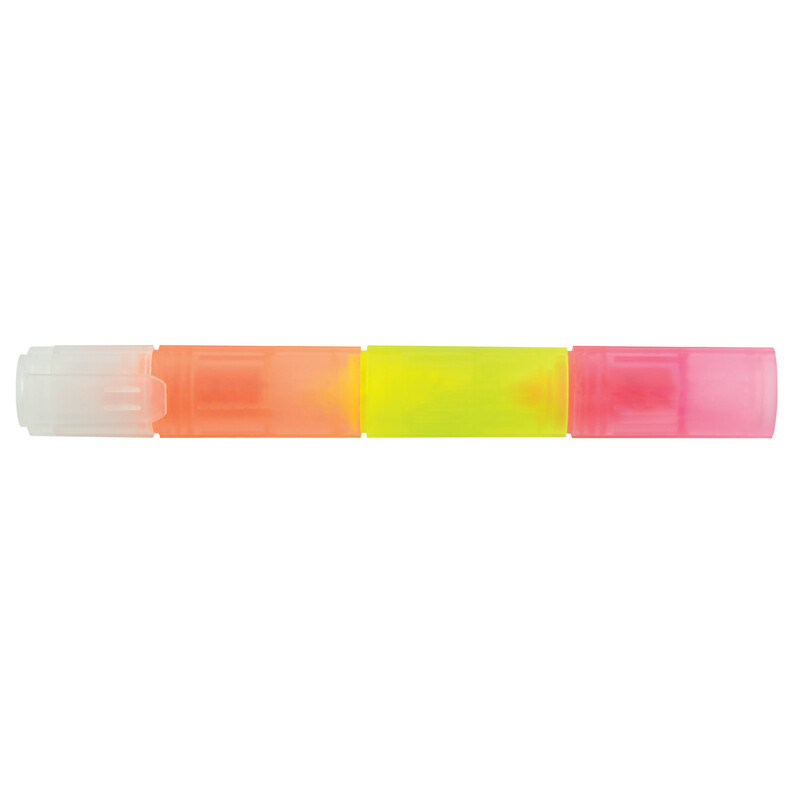 With a totem pole style design they include an Orange, Yellow and Pink chisel shaped fluorescent highlight with decorative print on each.